Check it out! 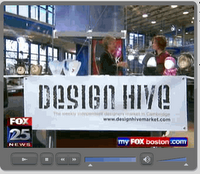 Val Fox, the founder of the Design Hive, was on Fox 25 News with Kim Carrigan on Tuesday morning. I’ll be there tomorrow (11/15) selling my cards — hope to see you there! This entry was posted in fox 25, the design hive market by shortcakescraps. Bookmark the permalink.